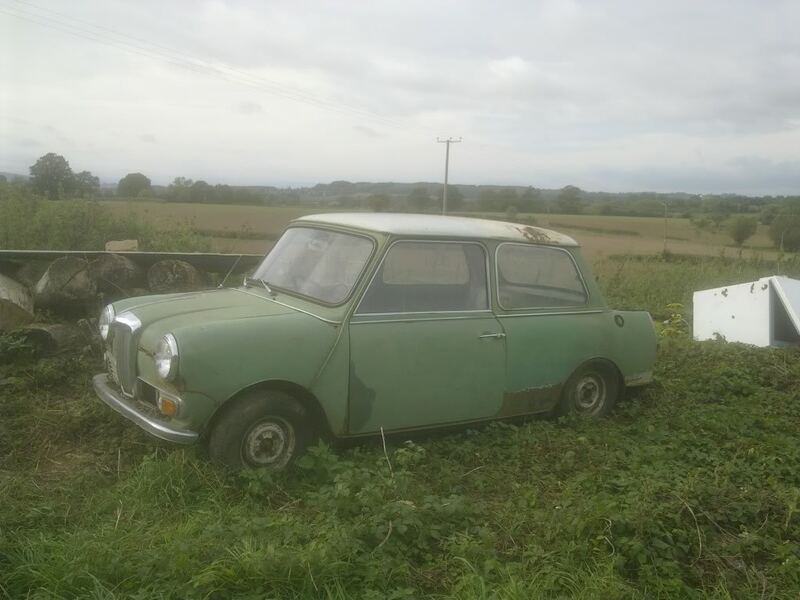 just a quick note after searching for a shell for my wolseley after the b****rd who sold it me scrapped it i managed to obtain a riley elf! 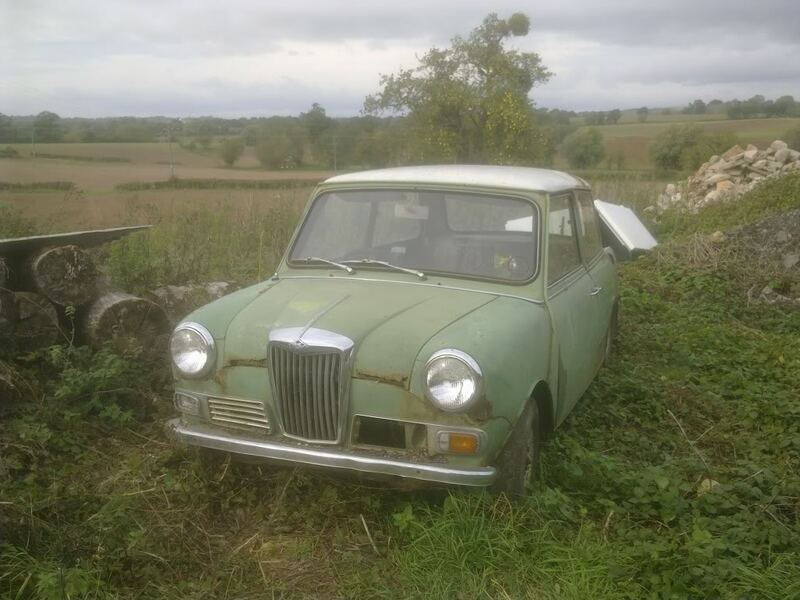 great and then a shell turns up for my wolseley remains, am i lucky or what? pics of the riley are on wolseley will follow in a couple of days. Wolseley Hornet shell anyone ? Following Lester's lucky find....I can report a Mk.2 Hornet shell (complete save for engine & gearbox). 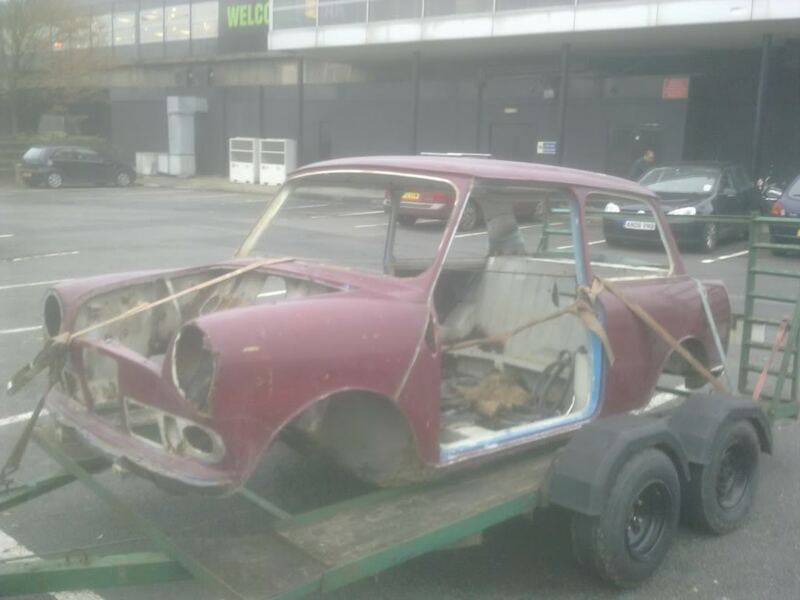 seriously decaying 1960s Mini 850. The Hornet is minus one wheel - probably scavenged - but is otherwise whole. 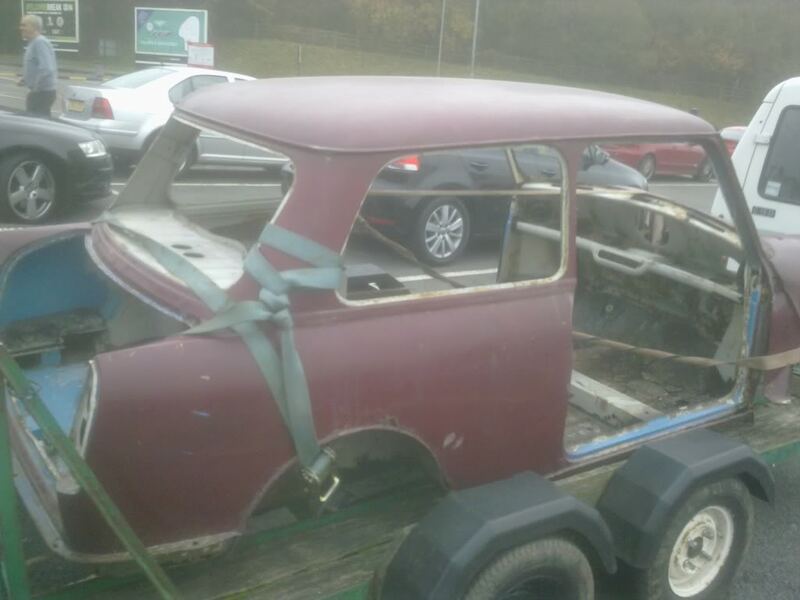 as promised the hornet shell just picked it up well chuffed much better than i thought all i need to do is mot it!!!!!!!!!!!!!!!!! anybody got any bonnet hinges going spare? Is that the shell that was on ebay, in Cheshire? Glad it's gone to a good home. yes it is the guy that bought it wanted a mark 2 so if anyone has one going spare let me know. just had the bonnet hinges arrive so the hornet shell is the first one on the spit! Got a job lot of panels from a factors that said they couldn't sell em so i made an offer they couldn't refuse!.I have a complete s/h floor that is perfect and shall be putting that in it as i will be going rod change rather than remote. The doors i can't make my mind up whether to modify the shell or the door. My mate modified mini doors for his but he had all the latches etc. I haven't got those so it might be easier to modify the b post and use conventional mini latches and strikers, has anyone done either method. I have an early MG metro unit to go in and a set of 10" ro'styles so it should look retro. My mates Riley is black all over so i think the Wolseley will have to match, just a single colour and lots of chrome luvly jubly eh. Will be putting lots of pics up when i start so keep an eye out, if anyone has a mk3 hornet steering wheel centre spare can you let me know. just found the pics lol the red shell is one i will be doing, just finishing putting wheels on the spit so i can move it around, this project got off to a bad start but everything seems to be clicking into place, can't wait to get into it, as i said in my other post i can't believe how easy it is to modify the doors which was my big stumbling block i wish i had looked at them a lot earlier. Any way it should be on the spit by the end of the week.